With vCloud Director 9.5 VMware for the first time released vCloud Director in fully supported appliance format. It is the first iteration of longer process to provide the whole solution in the appliance format, therefore external NFS, database (PostgreSQL/MS SQL) and RabbitMQ is still needed, but this will change in future releases. I would therefore advise today using the 9.5 version only for green field environments and not to mix it with RHEL/CentOS based vCloud Director setups. Use vSphere Web Client (FLEX) or OVFTool to deploy the appliance. The HTML5 client is not supported. OVF Appliance networking (DNS/Gateway) is provided through Network Profile for the particular port group the appliance is going to be connected to. If it does not exist, vSphere Web Client will create it the first time you deploy appliance to the port group. Appliance is deployed only with one vNIC and one IP address. That means NFS and DB must be accessible from the vNIC (directly or via routed connection). API/UI and Console Proxy are sharing the same IP, but Console Proxy uses port 8443. So you must adjust your Console Proxy Load Balancer network pool to this port. Appliance uses vcloud user with ID 1002 which most likely is different from RHEL/CentOS vcloud user ID and will cause NFS permission issues. That’s why I do not recommend mixed setup. Appliance will copy responses.properties file to the NFS share for other cells to use and connect to the database. Note that the file contains encrypted database login credentials but also the encryption key, so make sure access to NFS share is controlled. If you need to change appliance network configuration after the fact, use the following command: /opt/vmware/share/vami/vami_config_net. The appliance currently has no admin UI. Appliance is Photon based, so you can install additional packages with tdnf install command. Only issue i had was using a SQL vCD DB, the vcloud user SQL password doesn’t seem to support the $ character. 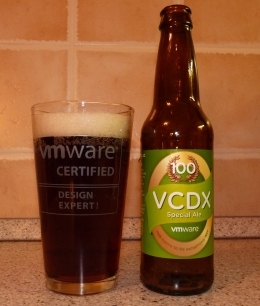 vCD OVA deployment failed everytime until I changed the password and took out the $ character.